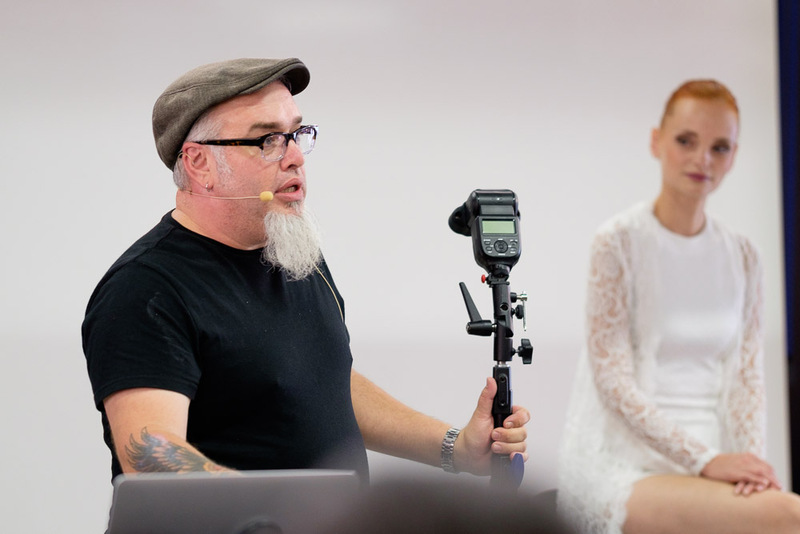 Now that the Photokina has come to an end, it is possible to create a recap of that the things that could have been seen there. 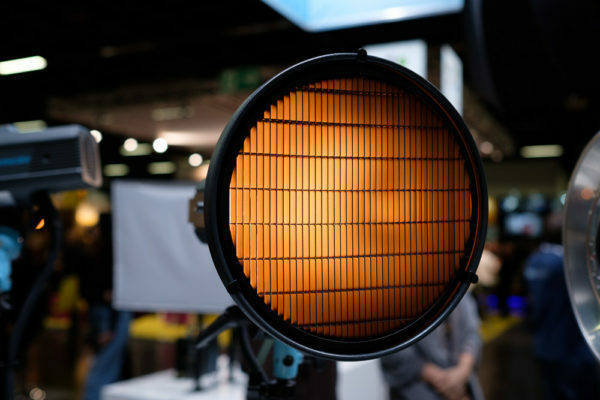 Not everything that could be seen at the Photokina is also announced officially, so this list might contain some surprises! 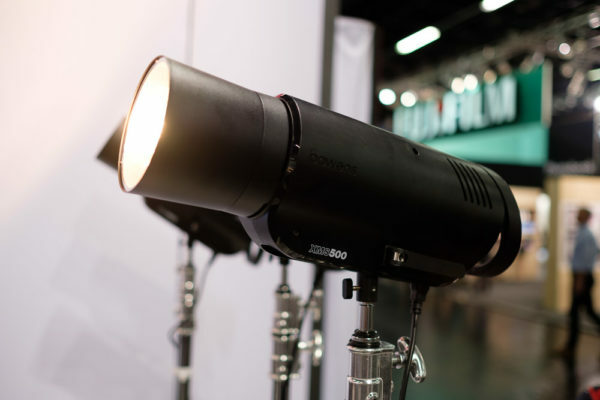 In this article an overview will be given for the lighting related news for the various brands, including lots of photos, as what can be expected from LightingRumours. 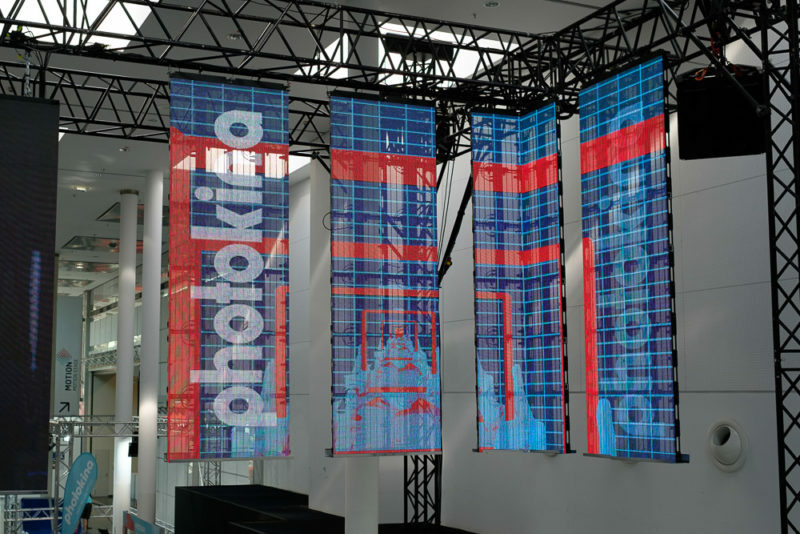 In general, it is always a pleasure to attend the Photokina. 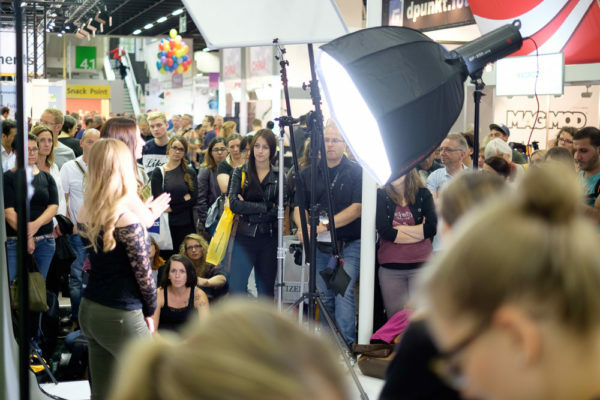 Together with almost 200,000 other visitors it was possible to witness the new innovations that were shown by the various exhibitors. Some brands really took the opportunity to make the trip well worth the effort! 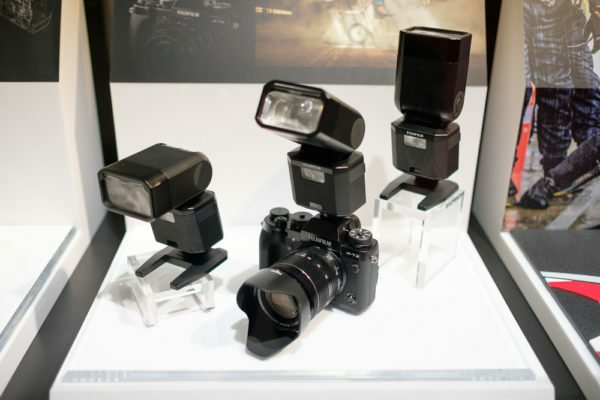 At the Photokina Bowens finally presented their Generation X system. Already in March Bowens hinted about the upcoming new products but they were not presented at the Photograhy Show because the product wasn’t ready yet to be unveiled. 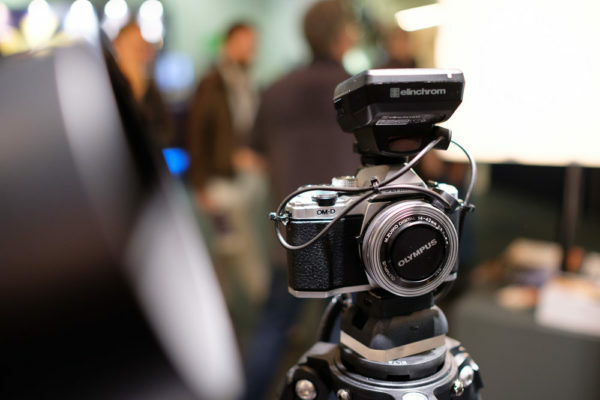 Fortunately the additional time allowed Bowens to finalize their products and show them at the Photokina. 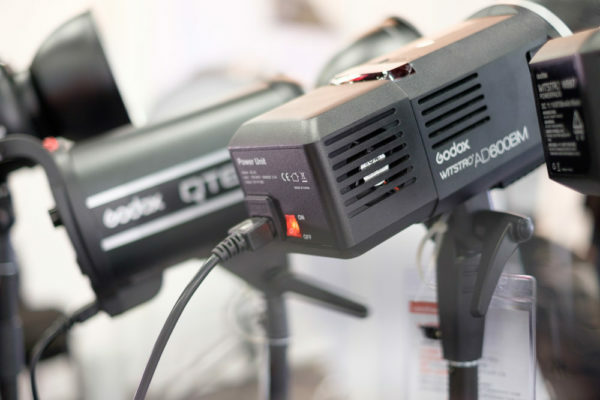 A Bowens representative indicated that these four new strobes are the start of a whole new range of different products, according to him there is definitely more exciting news to come. 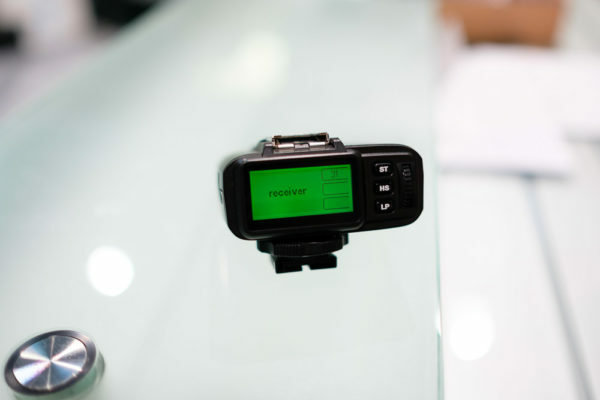 For more info please see this article. 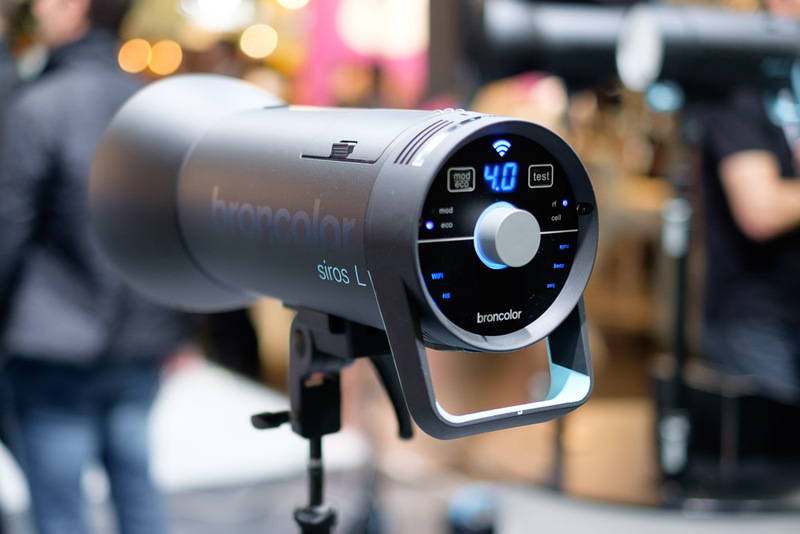 On the stand of Broncolor the fairly new Siros L 400 and 800 could be seen, as well as the just announced 5:1 grid and RFS2.2S trigger. 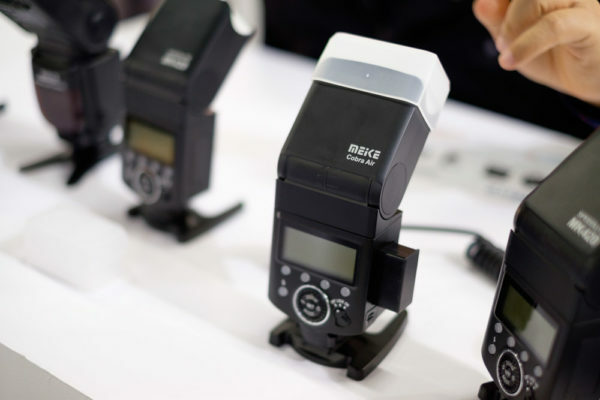 Broncolor has confirmed that the RFS 2.2S trigger is manufacturered by Godox and uses the same shell as the Godox X1 triggers, albeit with different hardware on the inside. 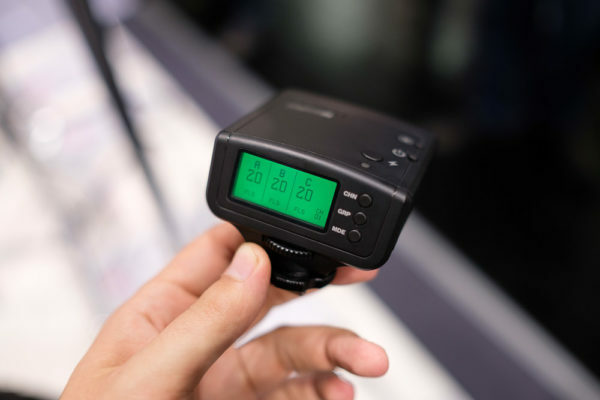 Elinchrom presented a new variant of the Skyport transmitter, designed for Olympus cameras. No support has been added for Panasonic (yet), but Elinchrom is supposed to work on a firmware update that would allow support for Panasonic as well. 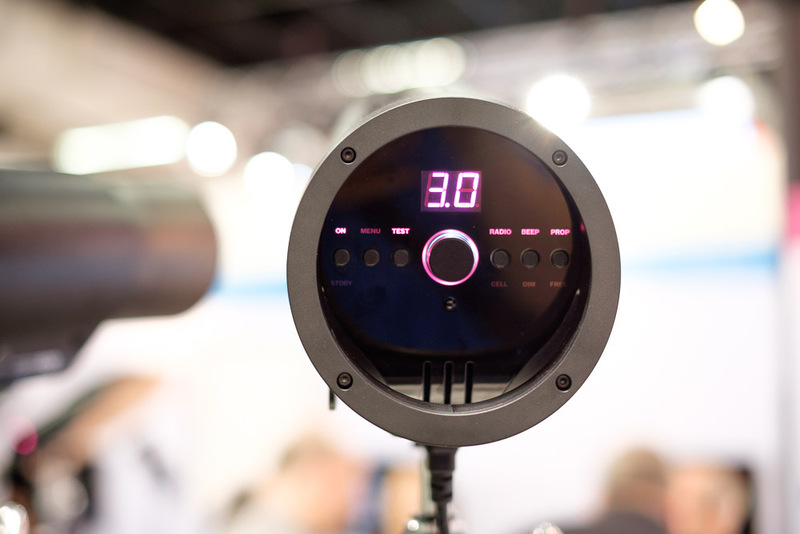 At the stand of FalconEyes a quite different apporach could be seen compared to the others. Instead of demonstrating various strobes and speedlites, FalconEyes took the opportunity to show more of their LED range instead of flashes. 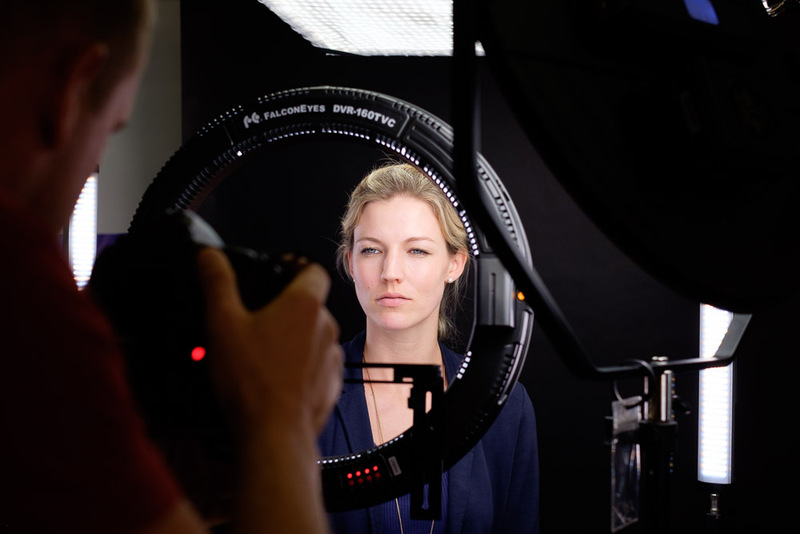 A LED portrait setup could be tested as well. 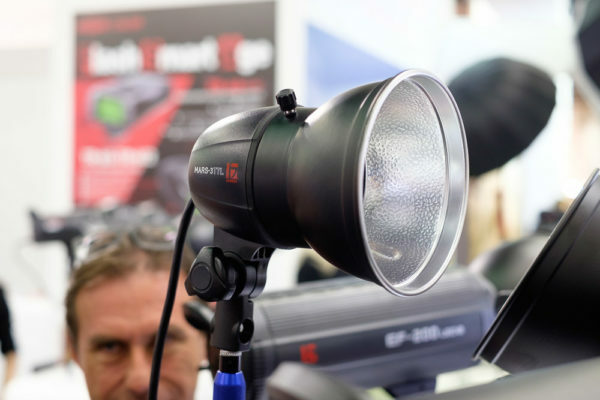 There were a lot of activities at the Fuji stand, such as workshops, demonstrations and the opportunity to try out cameras, but for LightingRumours the most interesting news was about the EF-X500. 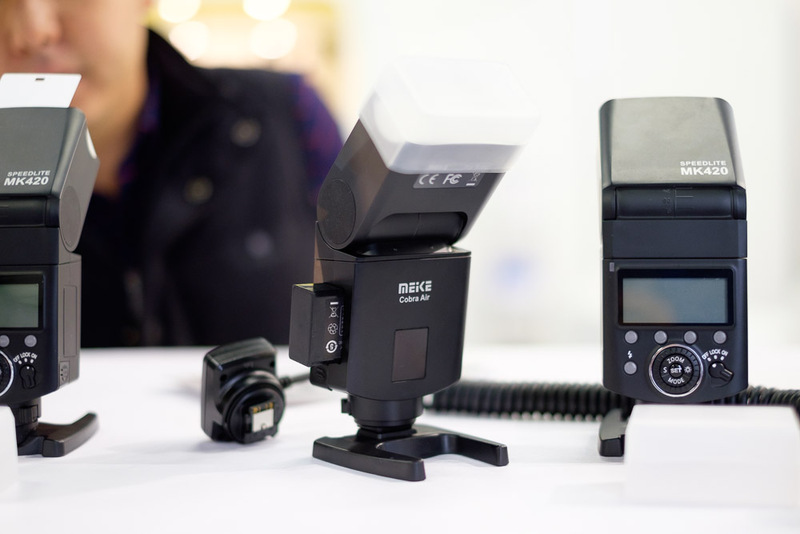 A representative indicated that this speedlite for Fuji cameras will start shipping end of October. 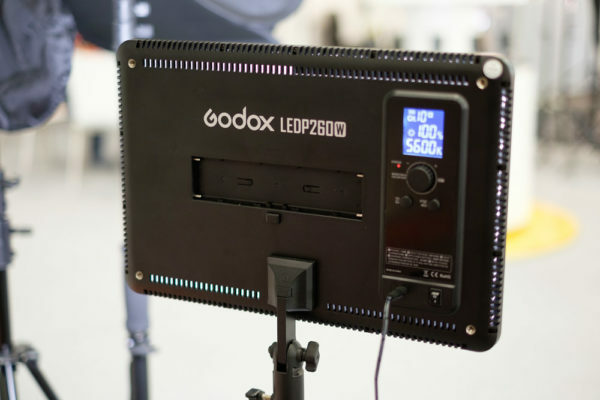 No big announcements from Godox, but at the stand we could see that they are working on several new products. 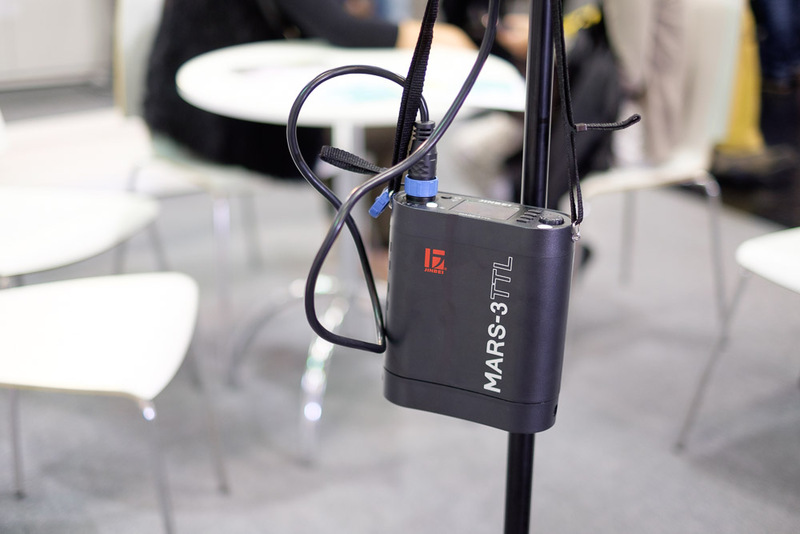 A working sample of a mains adapter for the AD600 was shown, as well as various other accessories such as the 1200 Ws adapter for the AD600. Besides that we also could see a new LED light named the LEDP260W and a new small speedlite. 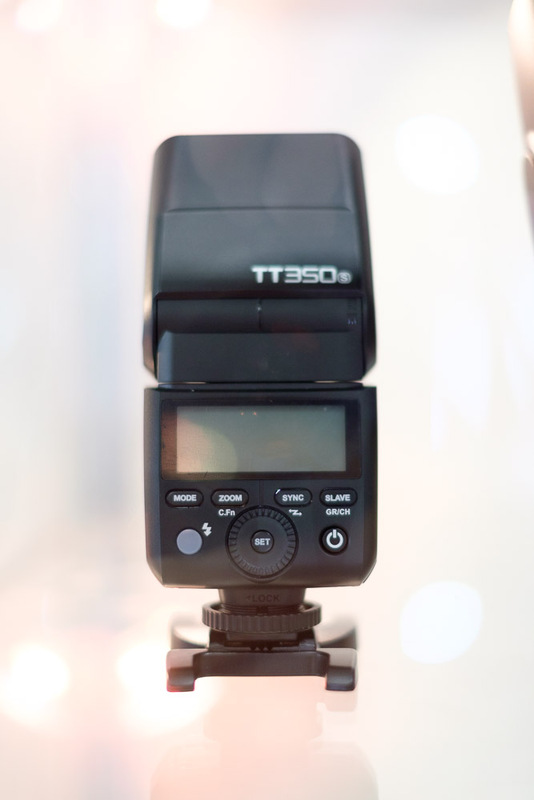 This not yet announced speedlite, called the TT350, will be available for Nikon, Canon and Sony initially and is basiclly a smaller version of the TT685. 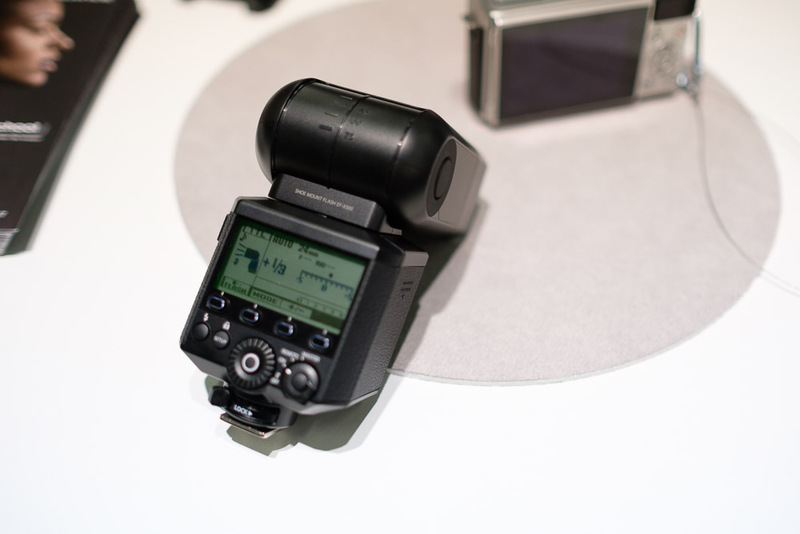 This smaller version also has a built-in transceiver. At the stand of Hensel the new Cito 500 could be seen. 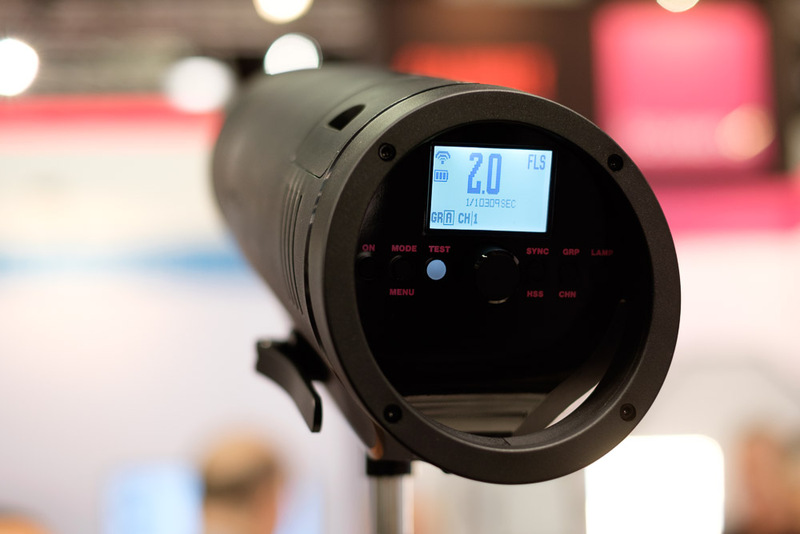 This new ultrafast flash has flash durations as quick as 1/100,000 second and a burst rate up to 40 flashes per second. 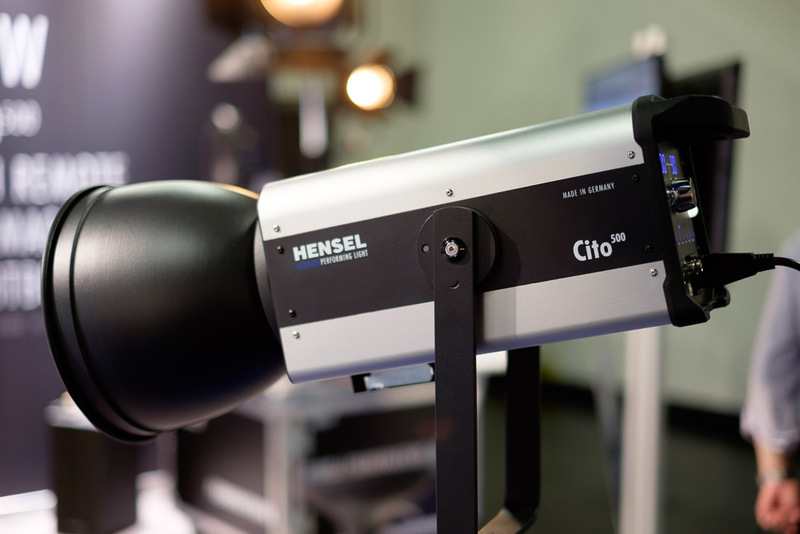 Jinbei showed us three new strobes each with TTL and HSS that will be available soon. 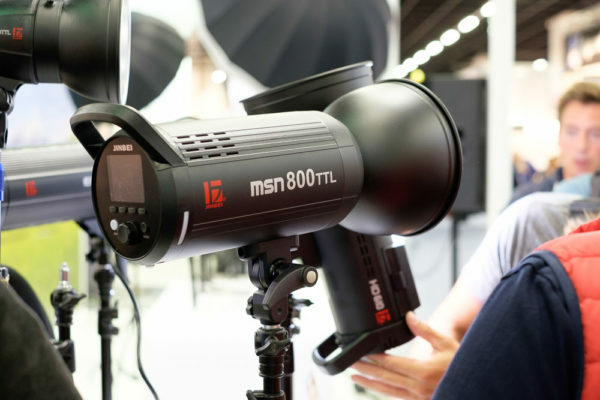 The MSN800 is a mains powered strobe, while other two are battery powered. From these two the HD610 already has been announced previously, while the MARS-3 is a head and pack variant. Lumu brought their prototype of the Lumu Power, a Kickstarter funded smart lightmeter for the iPhone. 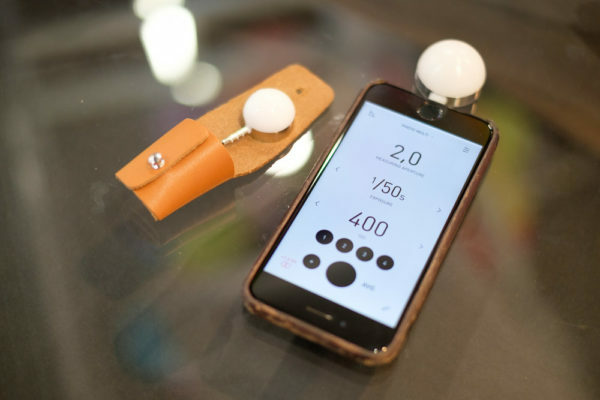 With the dedicated app for iOS it is possible to measure flash, ambient as well as the colour temperature of the ambient light. 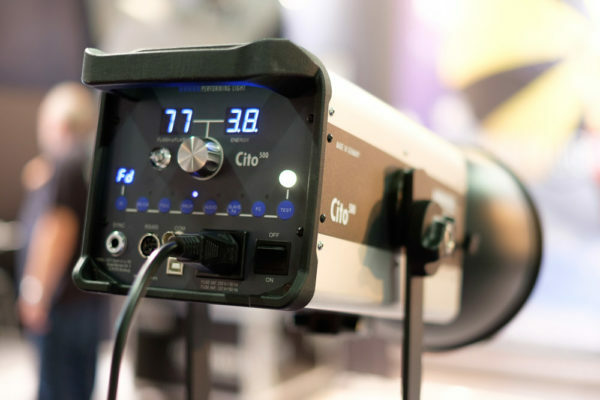 The guys at the stand indicated that they are very busy with the finishing touches, but the unit is expected to start shipping before the end of this year. Like Godox, Meike displayed two new prototypes of two smaller speedlites, one named the MK420 and the other called Cobra. 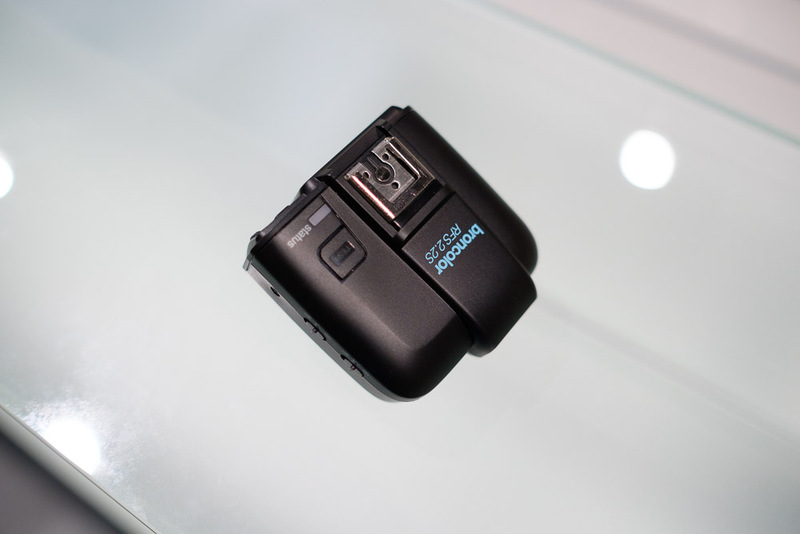 The latter will feature build-in wireless triggers, but both of them are powered with lithium-ion batteries instead of regular AA batteries. 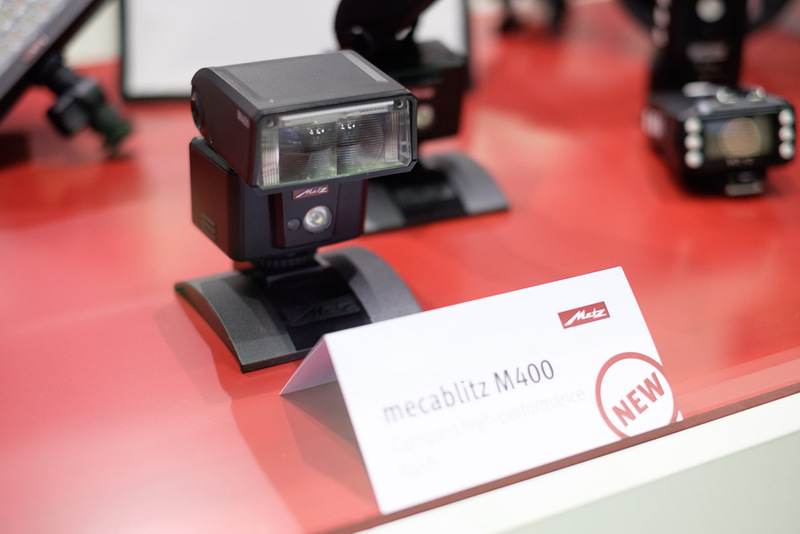 On the stand of Metz the newly announced M400 speedlite could be tried. This new speedlite which is supposed to be designed for mirrorless cameras is smaller and lighter than their current speedlites. Part 2 (M to Z) available here!